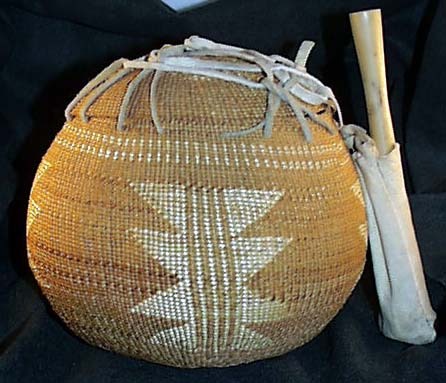 Very unusual turtle basket by Longboat, Iroquois, Awkwasnee Reserve, Ontario. 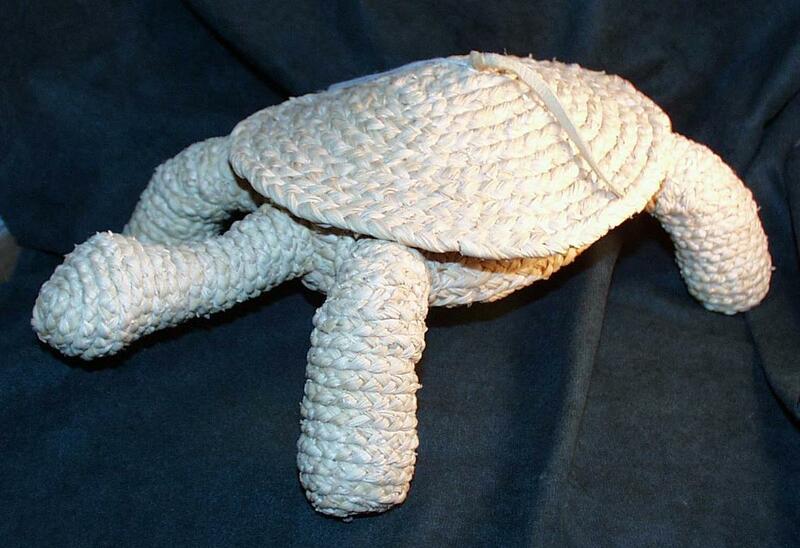 A must for any turtle collector and lover of Native American Art. 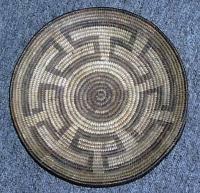 Entirely handwoven from Corn Husk! Magnificent! 13" Long by 8" Wide by 4 3/4" Tall. Shell is the lid and body is the basket. Here is a wonderful Hupa/Karok/Yurok tobacco basket circa 1920-1930. 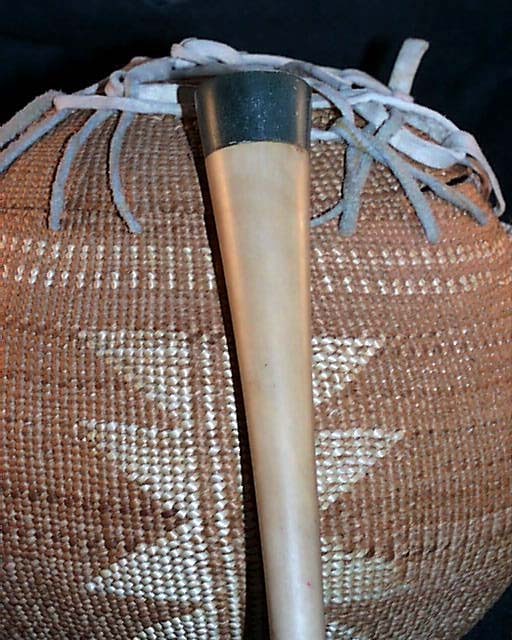 It comes with a yew wood and soapstone pipe circa 1970. 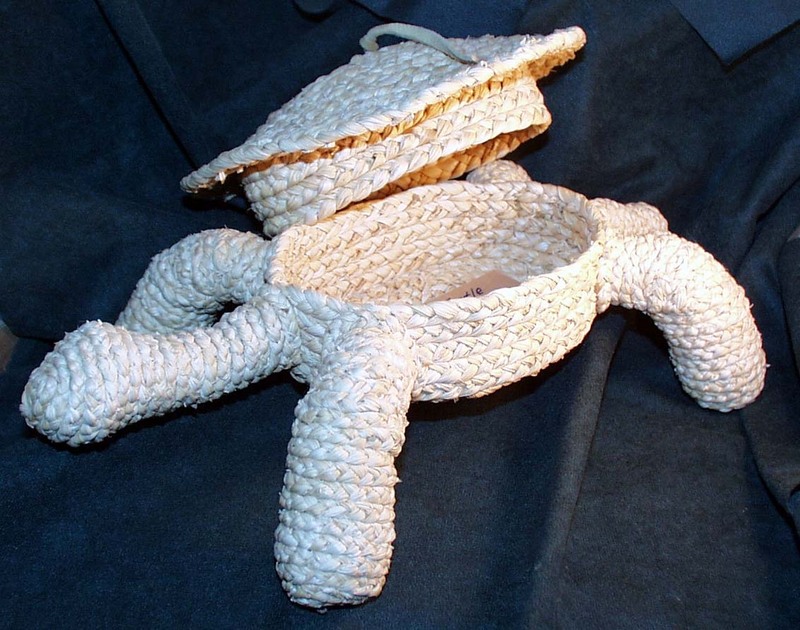 A fantastic and rare basket which would honor any serious collection. Every stitch in place.6.5" wide by 6" high.